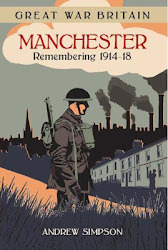 Marjorie Holmes was born in Chorlton and apart from her war service lived all her life around the old village. 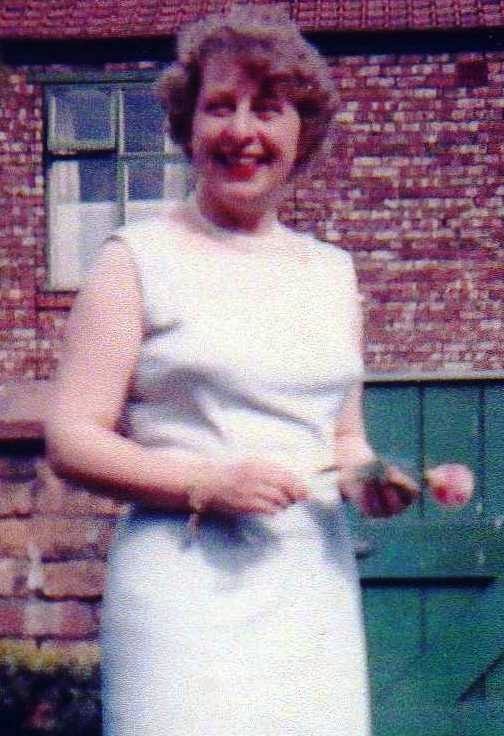 She had a rich fund of memories about the people and places of her youth which she was always happy to share with me. 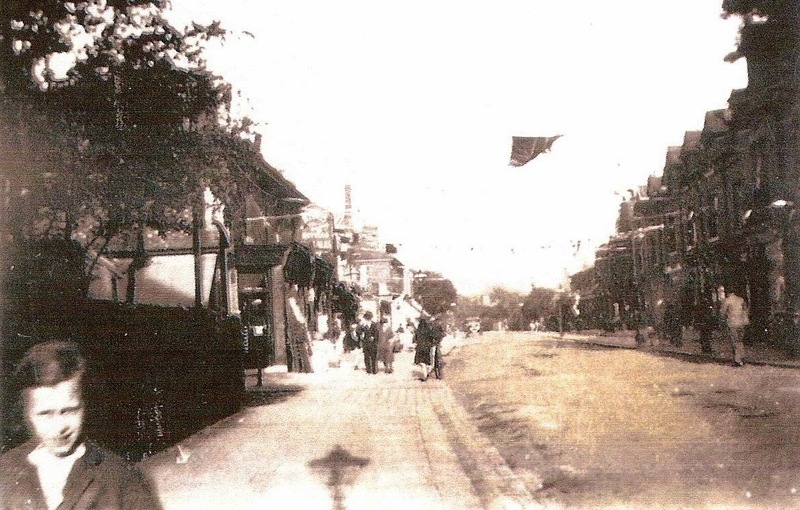 So here in the first of a series are some of those memories of Beech Road in the 1920s. "The wine and spirit shop at the corner of Chequers Road was Mason and Burroughs or was it Burrows?). In that row was a bakers and provision shop where, in the 1920s I would be sent for 1d. Worth of balm (yeast) for my mother to make bread. In those days we had a black leaded grate with a coal-fired oven. On the joy of returning home from school to the aroma of homemade bread, and a specially made little cob, still warm from the oven and spread with butter. There was also a good hardware shop, Harris’s, where one could buy anything from screws and pot hooks, donkey stone to cream our steps to brushes buckets and dolly tubs. The end shop before, the passage was Rowley’s Butchers who always had sawdust on the floor. This I suppose, soaked up any blood from carcasses hung up on hooks and was easy to sweep up. Across the passage, where the Italian shop is situated, was Hyde’s outdoor license. I think they only sold beer. We could go there with a jug to purchase bee, hand pumped, to take home. There is a passage at the back of this row of shops leading to the stables, where Hydes’s stables are to be seen on Acres Road. Acres Road was commonly called the Crack. Down the passage, against the drainpipe is a roughly chiselled out commemoration of a faithful dog. I cannot recall the use of the shop previous to Richard and Muriel’s but the corner shop, now a restaurant, was a hairdresser’s (ladies) and prior to that – pre-war- a cycle shop Cavanaugh’s (the name maybe spelled wrongly) and cycle repair shop. Across Acres Road was the Grange laundry where, when they became mechanised with delivery vans, old Mr Greaves was allowed to continue delivering laundry in his horse-drawn van. Then there was Lister’s sweet shop, opposite the blacksmiths. Mrs Lister used to frighten children in the 20s. The rest of the block was the Co-op stores. The first part led to the stables and delivery yard. The rest of the block was the grocers, where several assistants were employed. There was a lady who sat in an elevated box. She was the cashier. The grocers sent the money and grocery list in a metal can which was attached to a pulley and sent across a wire, where she would check the list and send back the receipt and change. I think there were two of these, one at each end of the shop. There had been grocers on the corner before the Co-op. 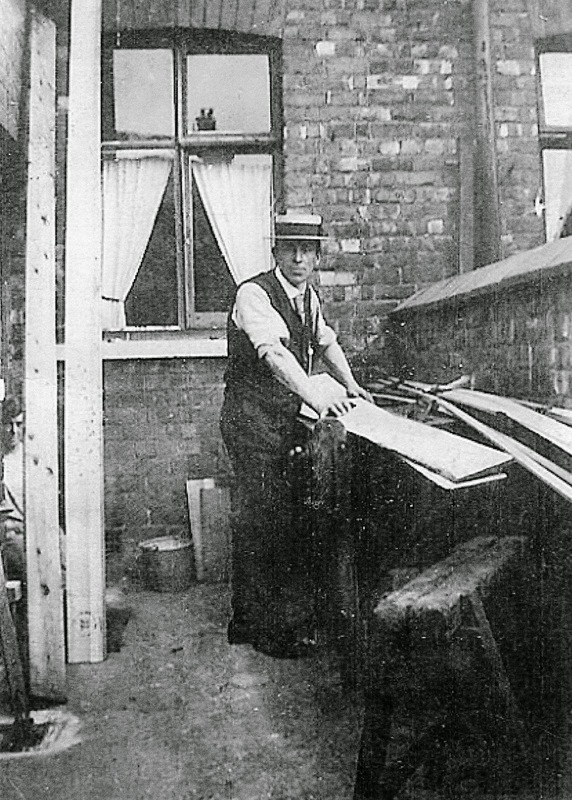 The Co-op butchers were round the corner on Stockton Road."